Date & Time Details: Arrival 4 pm Friday, October 4th. Departure 2 pm Sunday, October 6th. More a gathering of meditation practitioners with a connection to the Shambhala path than a traditional conference, ARC typically includes practice, social events, visioning and discussions on practice, community, Atlantic Canada’s unique culture, and how we connect across the region as Shambhalians. 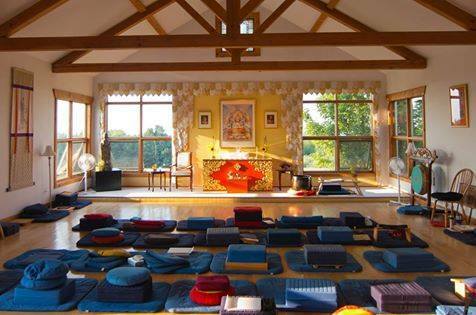 Whether you’ve been a member of the community for decades or are relatively new and have never visited Dorje Denma Ling, ARC is a wonderful opportunity to connect and make new sangha friends in the Shambhala mandala. ARC begins Friday evening with our “Local Gifts” reception. Each participant is asked to contribute something delectable and made locally (cheese, chocolate, wine, beer, etc.) that celebrates your own corner of Atlantic Canada. Stories abound over these local delights and kick off our gathering with a sense of richness and the spirit of generosity. Saturday morning, there is meditation practice led by Acharya Moh Hardin and Shastris from across Atlantic Canada, as well as various discussions and exercises pertinent to creating a regional network of Shambhala Communities. Saturday evening features a delightful Shambhala banquet, complete with cultural offerings, toasts, and jokes. If you play an instrument, bring it along! Creativity is celebrated. Dress is uplifted for the event. Sunday morning disucssions continue. The program ends with lunch and good conversation. Jim and Margaret Drescher to join him in hosting our facilitated sessions this year. The idea is that Werma practictioners from the Tatamagouche-area, ARC participants & DDL staff who are authorized to practice the Werma Sadhana, would come together for a large feast to establish the atmosphere for our 20th Atlantic Regional Conference. It is a Werma feast day in the Shambhala calendar. After the feast, centre directors and group coordinators will have our regional council meeting and others will be invited to spend time on the land before our “Local Delights” receptions kicks off ARC 2018.